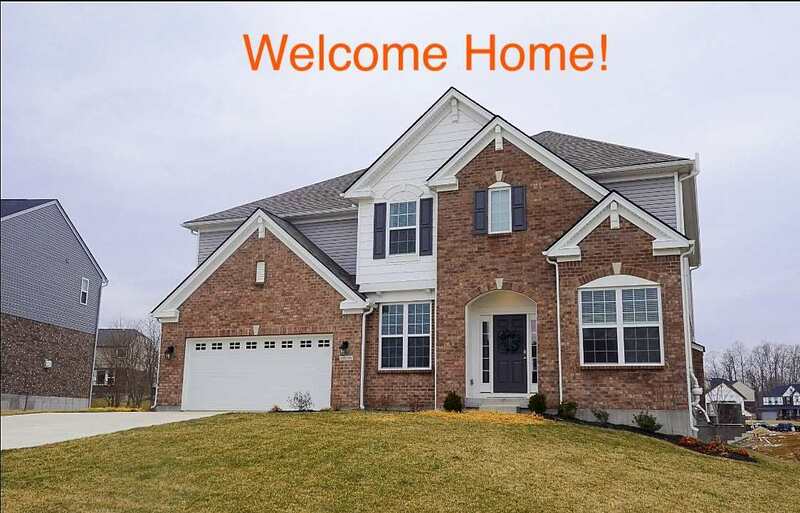 This Exquisite Drees Fairborn floorplan located on a cul-de-sac street is ready for you to call it home! This 4 bedroom, 2.5 bath home offers a long list of upgrades to include, Crown Molding, Upgraded Floor Boards,Tray Ceiling, Super Shower in the MB, & Gourmet Kitchen, just to name a few. I-275 S to Rt 16 (Taylor Mill Rd) south. Go approx 6 miles and turn left on Mills Road. Pull straight into Ashford Village at the bend in the road. Turn left onto Hibernia. Directions: I-275 S To Rt 16 (Taylor Mill Rd) South. Go Approximately 6 Miles And Turn Left On Mills Road. Pull Straight Into Ashford Village At The Bend In The Road, Turn Left Onto Hibernia.